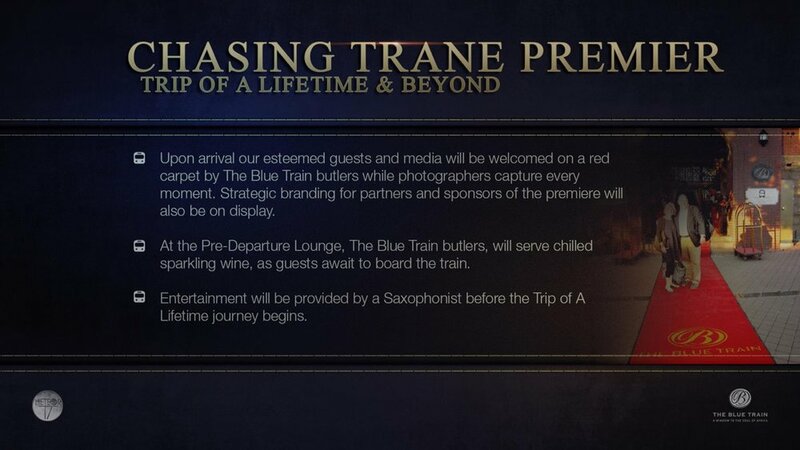 Spencer Proffer and Africa’s Leading Luxury Train, The Blue Train, formed a partnership to produce a unique experience celebrating John Coltrane and South African jazz music. 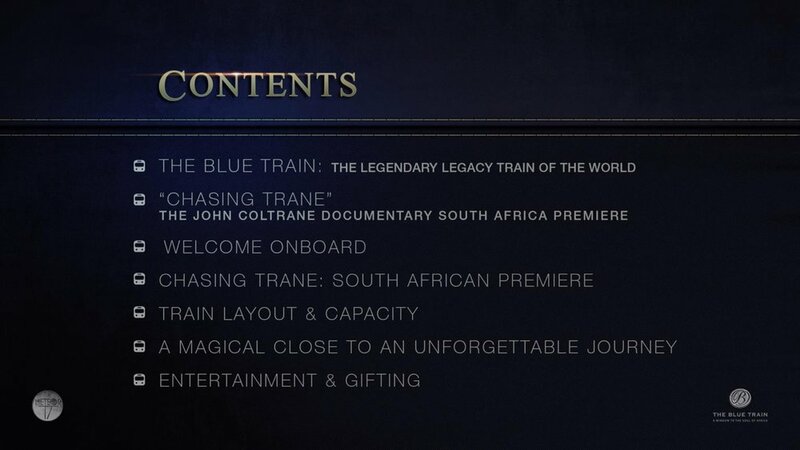 On November 9-10,2017, this happened through the private, tastemaker, two day journey and screening of the acclaimed John Coltrane feature documentary, Chasing Trane, on board the iconic South African ‘Blue Jewel’.(http://wetu.com/iBrochure/19578/The%20Blue%20Train). The BT is a luxurious 'five star hotel on wheels", comparable to the Orient Express. One of Coltrane’s most successful albums was entitled ‘Blue Train’. It is still considered one of the greatest works in the genre. 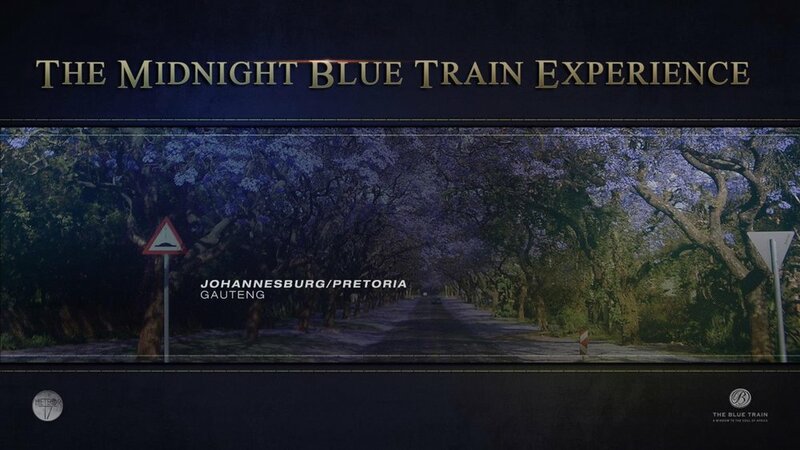 The luxurious two-day Blue Train journey was only part of the plan. 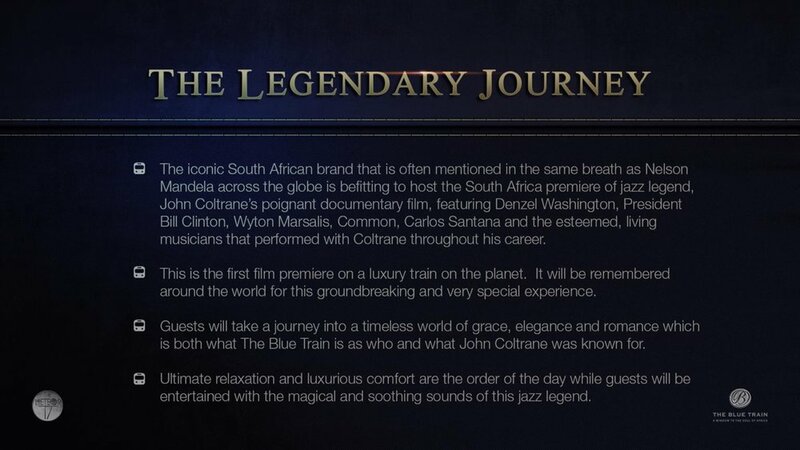 Originally, Spencer and Tether, Inc. founder Stanley Hainsworth (http://tether.com/about/), conceived showcasing the Coltrane film on a blue train in America. After consulting with Gary R. Lewis and Reggie Miller, they and the production partners elected to have Spencer finance the journey to So Africa and showcase the film on the Blue Train there. That happened. Spencer also felt that the effort would celebrate the diversity of jazz currently emanating from South Africa while expanding the footprint of the documentary.. This was the first time that a film has been showcased in this manner, aboard a train, to a private and select group of invitees. Celebrated ambassadors of The Blue Train, coming from all walks of media, corporate and political spheres, took this journey. The list of travelers were comprised of invited guests, journalists & sponsors from around the globe. Amongst the guests on board were businessman Romeo Kumalo and his wife, media personality Basetsana,, along with acclaimed South African actress Terry Pheto and Lion King producer and contributor, Lebo M. Renowned designer Ole Ledimo, the founder of House of Ole, showcased African fashion designs inspired by Coltrane’s lifestyle. Papi Molotsane, former CEO of S.A.'s top telecommunications company, Telkom and a highly respected South African business leader, was M17's partner on the ground and served as the event's Co-Executive Producer. Molotsane's staff, along with publicist and event planner Andre Gilbertson, coordinated all activities, extensions and brand participations in South Africa. 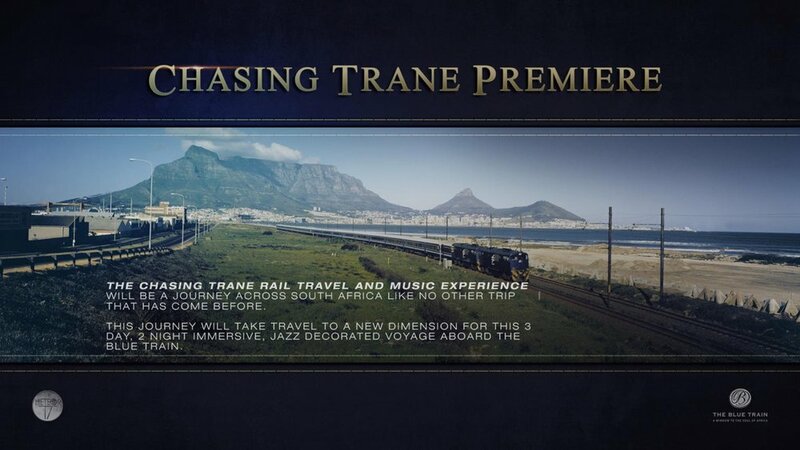 Proffer, of the producers of Chasing Trane, who produced the event in South Africa stated: " In partnering with the luxury travel innovators of The Blue Train and the visionary Papi Molotsane on this very special journey, we celebrate the diversity of jazz currently emanating from South Africa while expanding the footprint of our documentary film". 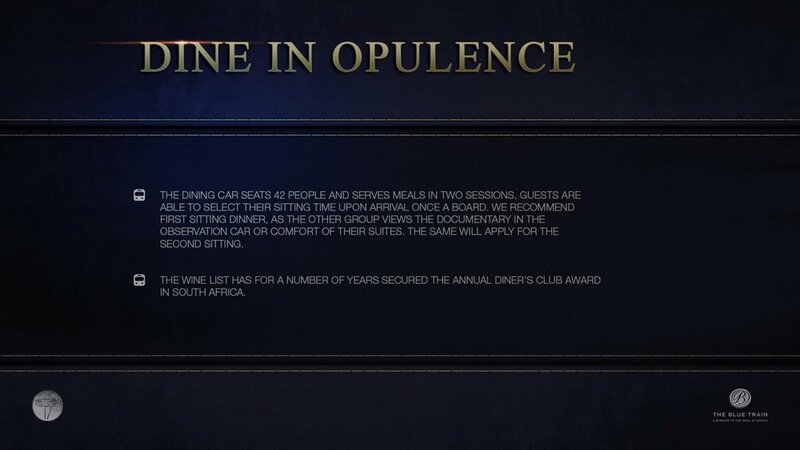 The event had a stopover in the fields of the famed Delaire Graff Wine Estate (delaire.co.za) in Stellenbosch, where a live concert took place while lunch was served for the guests who joined in the journey. 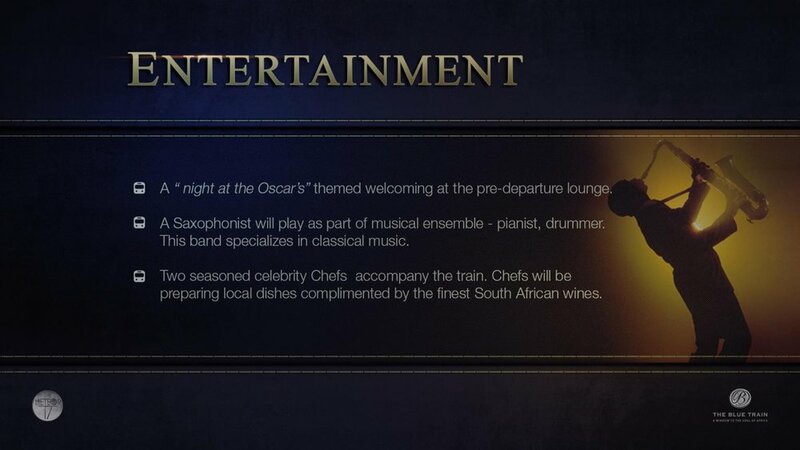 The experience concluded with a finale concert at the popular Kaleidoscope Jazz Club in Cape Town. American jazz icon Ronnie Laws as well as two of the stars from the 4 time Tony nominated Broadway musical, 'It Ain't Nothin' But The Blues' (Eloise Laws and Lita Gaithers Owens) also were flown over by Proffer to join in the musical marriage of cultures and spirit. Acclaimed South African music producer and composer, Grammy nominee for his work with Hugh Masekela, Don Laka, https://en.wikipedia.org/wiki/Don_Laka; https://en.wikipedia.org/wiki/Don_Laka, directed and oversaw all the musical aspects of this experience. Warner Music South Africa hit rapper, Dr. Bone, highly respected S.A. jazz saxophonist, McCoy Mrubata, also performed with Laws and other hot, local artists at both Delaire Graff and the Kaleidoscope Club, as well as joined the guests on the Blue Train experience. 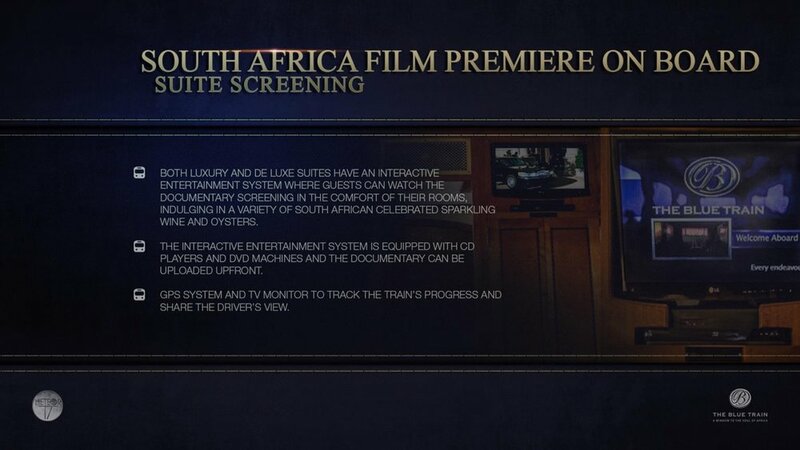 The project has proven to be a strong way to bring attention to the Chasing Trane film and its meaning as well as the origins of modern jazz, showcased to the people of South Africa. 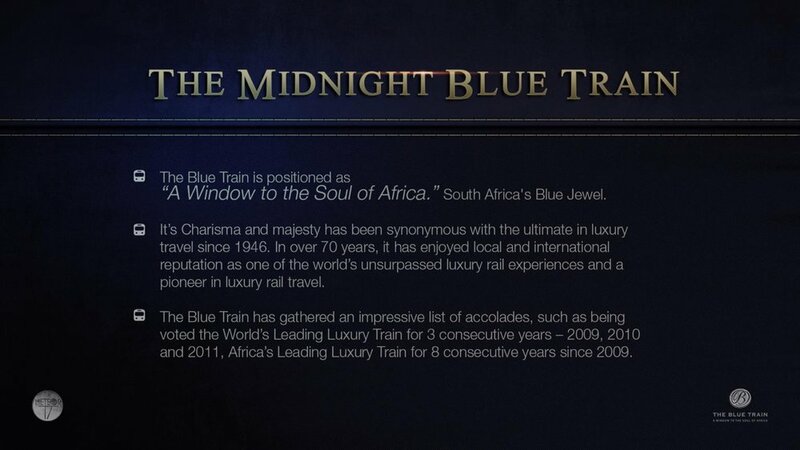 It has also given focused, global exposure to the Blue Train in addition to what S.A. can offer people from all over the world. 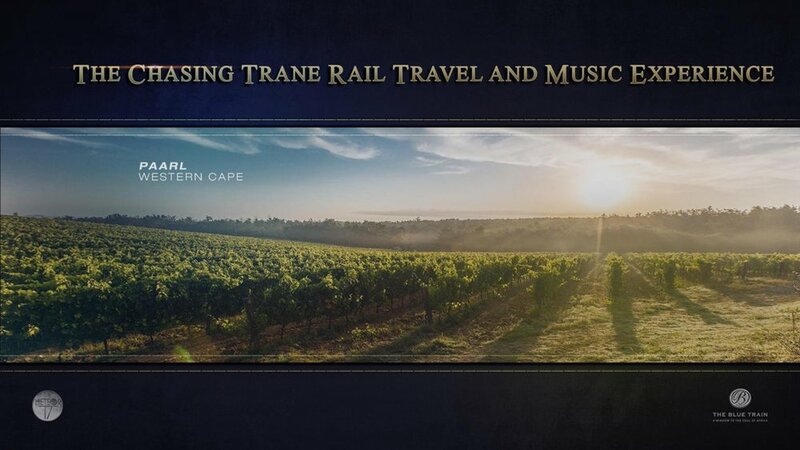 Chasing Trane was shown on two intimate screenings on-board The Blue Train via their sophisticated playback system and lounge..
Los Angeles based Vivian Ying Yang served a Consulting Producer to Meteor 17 and Proffer. 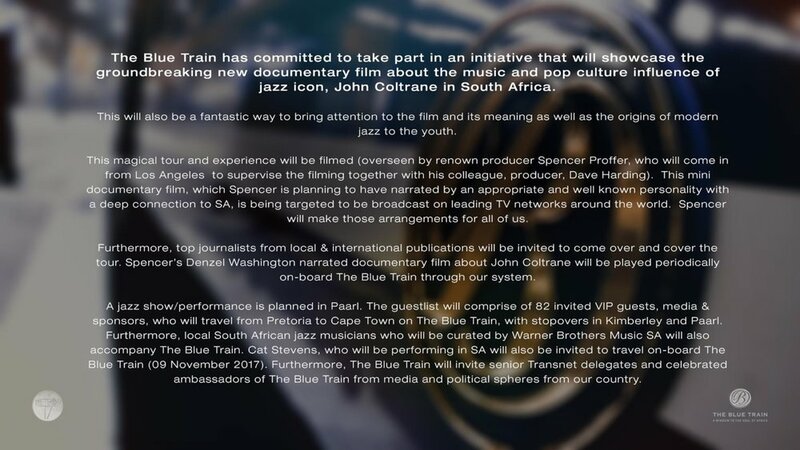 Fellow Chasing Trane producer, Dave Harding, accompanied Proffer to oversee and bring to life this event in South Africa.